A colleague of mine (at my normal, pay the bills job) recently learned that I was taking wine tasting classes and asked me for wine recommendations. I decided to make a game out of it and told her to send me a list of dishes and I would come up with a wine for each entry. The idea was to limit myself to wines I’ve tasted recently (and for some of them, wrote about). Here are the results. I’ll try to get feedback on how it worked out. What do you think? Also, feel free to give me some more dishes to match, it’s one area I’m trying to get better ! As promised, here are my four favorite wines from Wine Riot Boston. There is a little bit of everything, I tried to track the prices for each so that you can get an idea of the kind of wines there were at the event. A blend of Shiraz and Pinotage (a South African variety known for its smoky flavor) that would be great with any red meat. Spice notes from the Shiraz, smoke notes from the Pinotage and a retail price around $11 make for a great value wine. 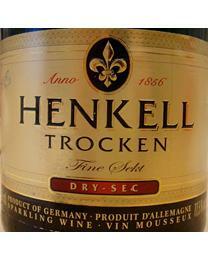 A German sparkling wine, Sekt means sparkling wine and Trocken means dry. A very good and fruitier alternative to Champagne for under $10. It was available at the “Bubbly Bar” along with Cava, Prosecco, Cremant and of course Champagne. This wine merchant has an interesting concept. They buy wine from premium wineries around the world, bottle and label them and sell them under their name, without naming the original winery. You trade knowing the actual wine maker for an arguably better price. 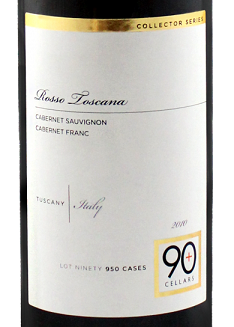 Their Tuscan Red in any case is like drinking velvet. A bottle retails for $29 instead of $65 at the original winery. 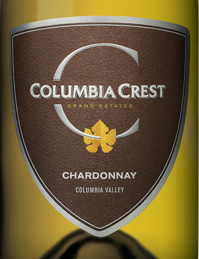 A nice, clean, refreshing unoaked Chardonnay at $12. Not much to say about it except that it was one of the first wines I tried all night and I still remembered it as being good at the end, it must count for something ! In other news, I took my Intermediate wine exam yesterday, it was a lot harder than I expected. The more you learn, the more you realize there is to learn. I still think I’ll get a passing grade but I need to step it up. Devotion : Why is the wine gone ?